Home Engineering Entrance Exams CUSAT CAT Cochin University Spot Round of Counselling Limited Seat Available!! CUSAT CAT Counselling 2018: The CUSAT CAT 2018 Counselling had commenced from 7th June 2018. The CUSAT counselling is conducted for all the candidates in the online mode. Aspirants can check out the important CUSAT CAT Counselling dates in this article. Candidates will be able to know the full procedure of CUSAT CAT 2018 counselling in this article. Details like the CUSAT CAT 2018 counselling fees and various documents required for CUSAT CAT Counselling Procedure. Certificate verification & Admission of candidates who have got the allotment and paid the fees for B. tech is scheduled for today. The Real-time Counselling for Marine Engineering candidates from Marine Rank 3001 to last rank is also scheduled for 3rd July 2018. The third Online Allotment and fee payment facility is now over. The certificate verification & Admission of candidates who have got admission and paid the fee will start from 3rd July 2018. Know the names of the branches in this schedule. The list of those candidates who have paid the second allotment fee can be checked here. After the results of the CUSAT CAT have been announced, the CUSAT CAT counselling 2018 commences. 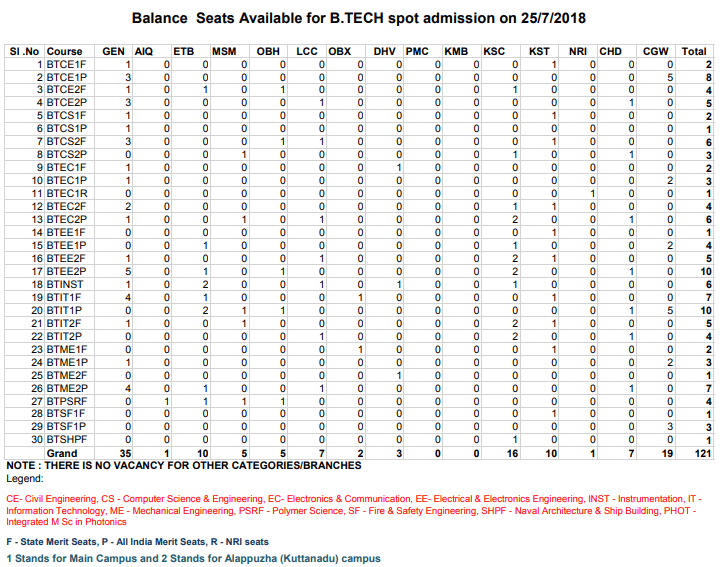 There is separate rank list for candidates who wish to take admission in the B. Tech Marine engineering course (released already) and separate list for all the other B. Tech programmes. The CUSAT CAT 2018 counselling process has started to take place from 7th June 2018. Candidates who are appearing for the CUSAT CAT 2018 counselling must make a note of all the counselling dates given in the table below. The participating candidates can check the below-given steps involved in the CUSAT CAT counselling procedure 2018. CUSAT CAT Option Registration – Click here. The candidate must first register themselves on the official website. During registration, candidates will be required to enter a working email-id as the login id and password will be sent on the same id. Candidates have to login using the id and password for the choice filling option. The candidate can enter as many choices of college and course as they want. Candidates must fill the choices and lock them before the final submission. The Seat allotment will be based on the ranks, preferences and availability of seats. The seats allotted to candidates will be available in the online mode. Candidates must download the seat allotment letter and take a print out of the same. 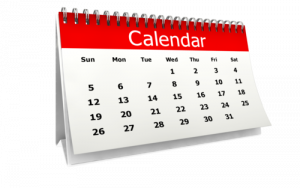 The candidate will lastly be required to report to the allotted institute on the specified date and time. Candidate must carry all the documents and the seat allotment letter. Candidate must pay the admission fee to accept the allotted seat. Candidate need to note that is even after the allotment of seat, he/she doesn’t turned up and accept the seat or doesn’t pay the fee, his/her candidature will be stand cancelled. Candidates must carry the important documents for verification at the allotted college. He/she will be required to carry both the original as well as photocopy of the documents. Community Certificate and Non-Creamy Layer Certificate (issued by the competent authority for ‘SEBC’ candidates belonging to the state of Kerala). This is for the candidates who claim communal reservation while filling the application form. Sports Certificate issued by Kerala State Sports Council (for claiming admission under sports quota). Next articleCOMEDK UGET 2018 Answer Key, Result, Merit List and Counselling Procedure.